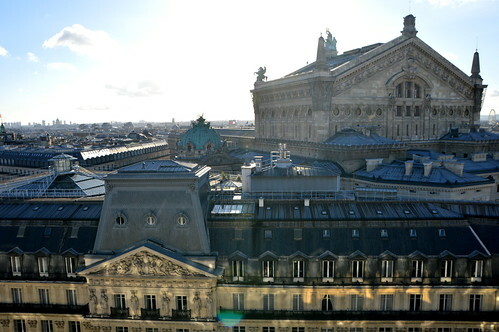 Now as most of you may know by now, I really love Paris… it’s such a good, fab and lovely city to visit anytime of year! And as I visit the City of Lights quite often, I can give you a bit of advice on what to see and do in the capital of La Douce France! Now I know Paris has many fab museums and great expositions, but I usually stroll around, enjoying the city as it is… a truly wonderful place to wander around and get lost! Paris can also be an expensive city to explore… but in today’s post I will share with you my (current) top 5 of free things to do! 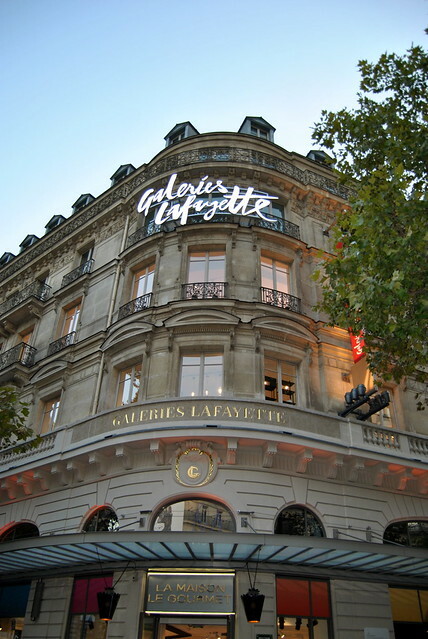 Galeries Lafayette is a deparment store which can be found on Boulevard Haussmann in the heart of Paris. 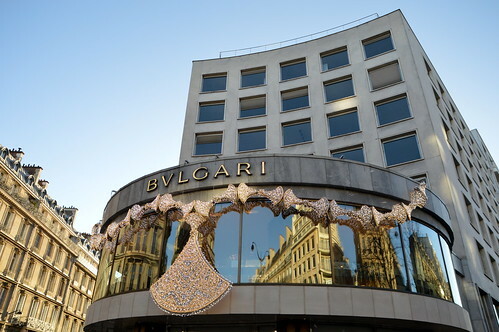 It offers a unique array of brands which of course can be very tempting for the fashionista amongst us. The store is a sight on its own with its impressive dome in the main hall. 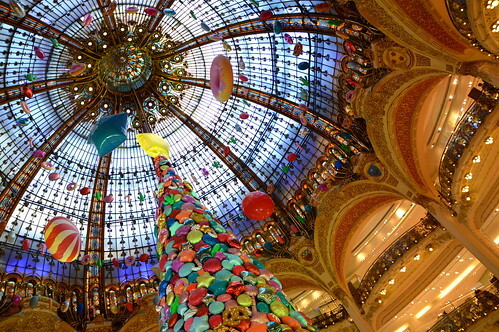 Especially during Christmas time the Galeries Lafayette is a must-see as the Christmas decorations are extremely impressive! The department store covers several floors, but to me there’s no floor as interesting as the roof terrace! 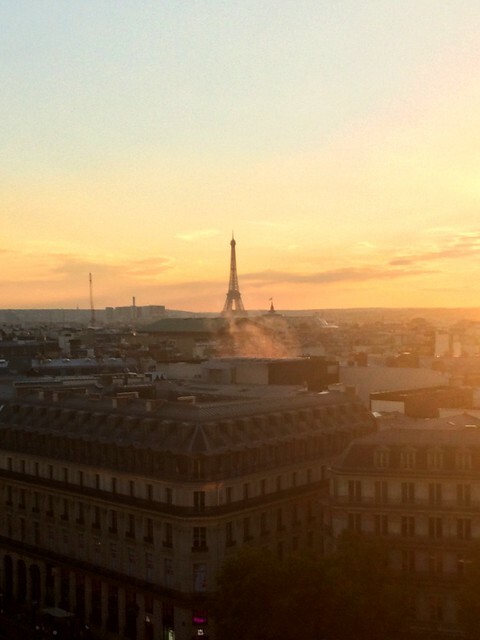 Now Paris in its own is lovely… but Paris seen from above is absolutely stunning. Enjoy the view you have from this roof terrace… you can even have a nibble or a drink up on the roof terrace at certain times! 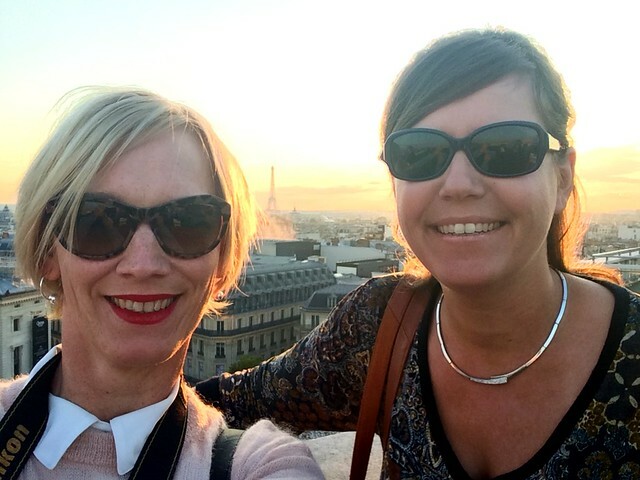 My best friend Katrien and yours truly on the roof terrace from Galeries Lafayettes. Check out this and this post for more views! A stroll in a park is always lovely, especially on a beautiful Spring day. I have seen several gardens and parks in Paris, but none has left an impression on me as Parc Monceau. 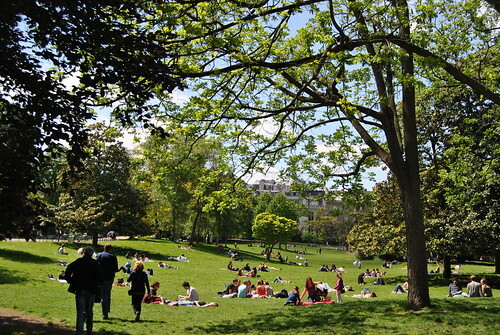 Parc Monceau can be found not far from the Arc De Triomphe. It’s no’t the biggest park, nor the oldest or the finest… but it has so much character. It’s cosy, a lovely getaway from the hustle and bustle of the city and it’s just the perfect place to rest your feet for a while! My top tip: buy a baguette, some Brie and a bottle of wine… drape yourselves on the grass and enjoy a lovely picknick! 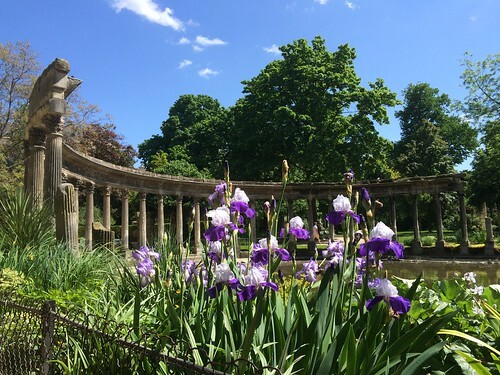 Check out this post in which I tell you a bit more about Parc Monceau! And vibes I surely got!!! There were so many people there! Guests arriving, people being or feeling important, famous bloggers, fashionable people and then people like me… just trying to absorb all that was happening whilst taking plenty of pictures of course! In this post you can see heaps more Paris Fashion Week streetstyle pics! Not long ago I experienced Paris during Christmastime. It was my first winter visit to the city and I must say I quite enjoyed it!! 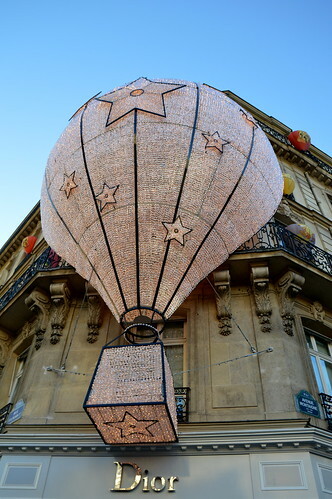 Many stores go all the way when it comes to Christmas decorations, trying to compete with their rivals of course… I especially liked the Christmas decorations on the Avenue Montaigne and near Place Vendôme. But even when walking in quieter and more modest neighbourhoods, Christmas is definitely all around. So when you get the chance of visiting Paris in December… please do so… you won’t be disappointed! 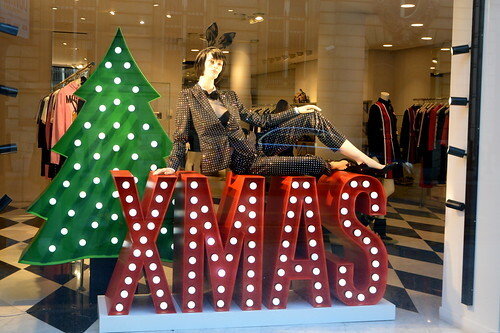 Check out this post for lots of festive pics! 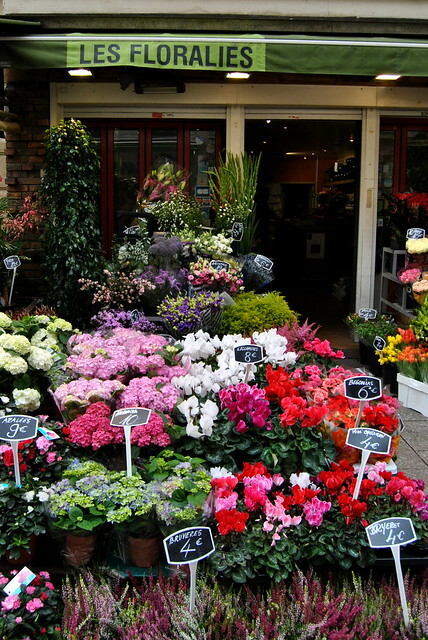 The Rue Cler is a street situated between Champ de Mars and Les Invalides and is partly a pedestrian area. 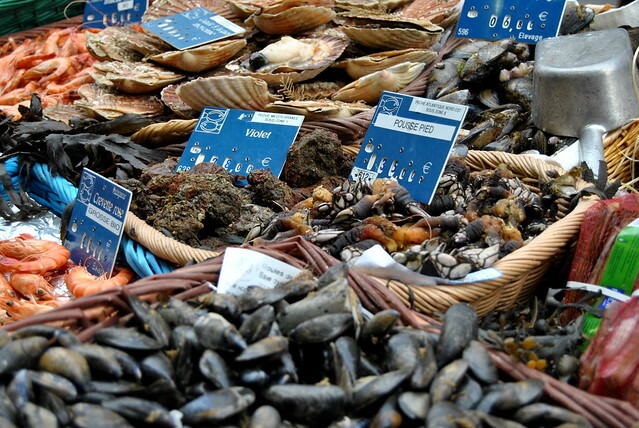 What’s so fine about this market is, that it doesn’t attract an overload of tourists. You can actually feel like a Parisienne walking this street and having a coffee in one of the café’s. Highly recommendable! 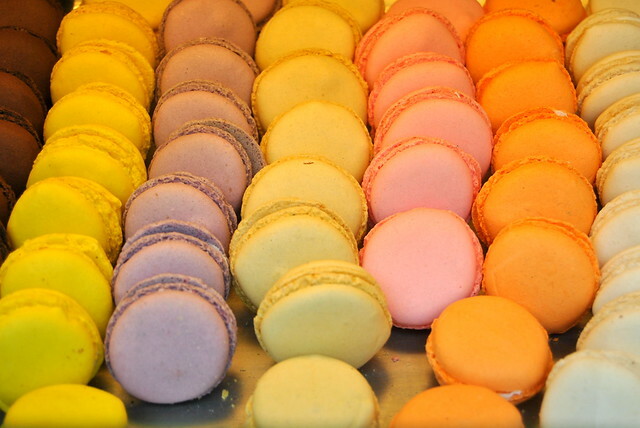 Read this post in which I tell you a bit more about the Rue Cler street market. What are your tips on visiting Paris for free? Let me know in the comments! 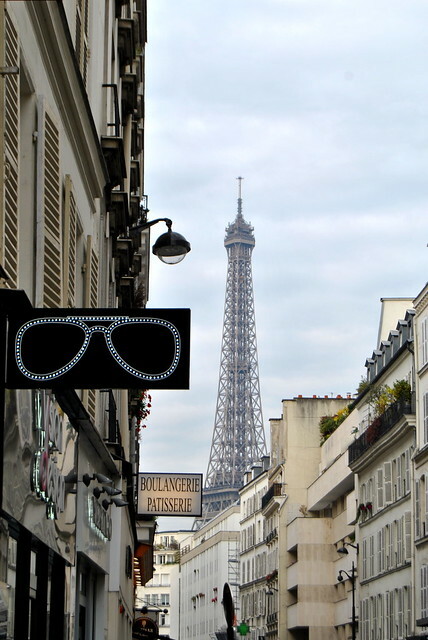 The Eiffel Tower is always close when visiting Rue Cler market! 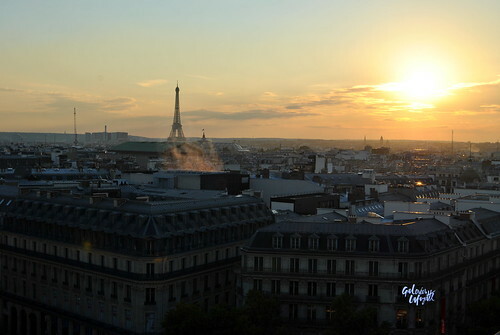 This entry was posted in France, Travel and tagged for free, france, Paris, Travel. All great styles. The red skirt stopped in my tracks!